Currently being shown in AKC conformation events. In his first show, he went WD/BOW/OHBOB and received a Group 4 placement in an owner-handled group of 12 hounds! 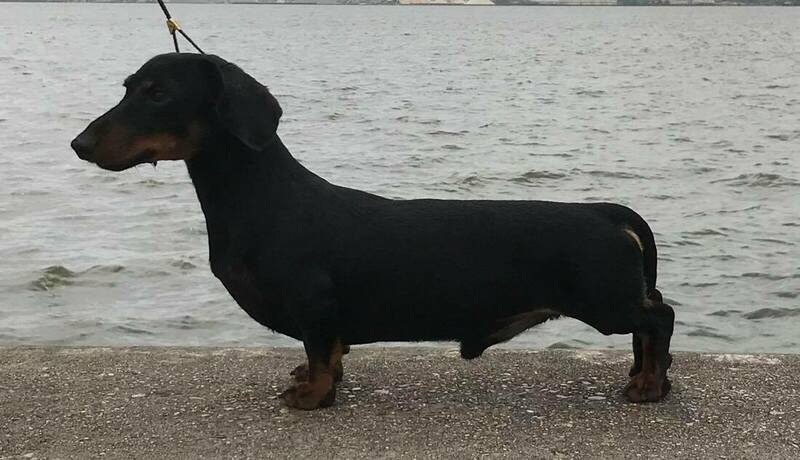 Freddie currently has 8 points towards his AKC Championship. Ryder was awarded Select Dog at the Dallas-Ft. Worth Dachshund Specialty on 3/24/17! click HERE to see Ryder's page!